When you need secure storage for your existing servers and IT hardware, as well as the flexibility to expand your range of equipment along with your growing business, our colocation services are the right option for you. Our two tier III Boston colocation data center and Dallas colocation data center offer solutions that are customizable and affordable, including cloud servers and VPS servers. 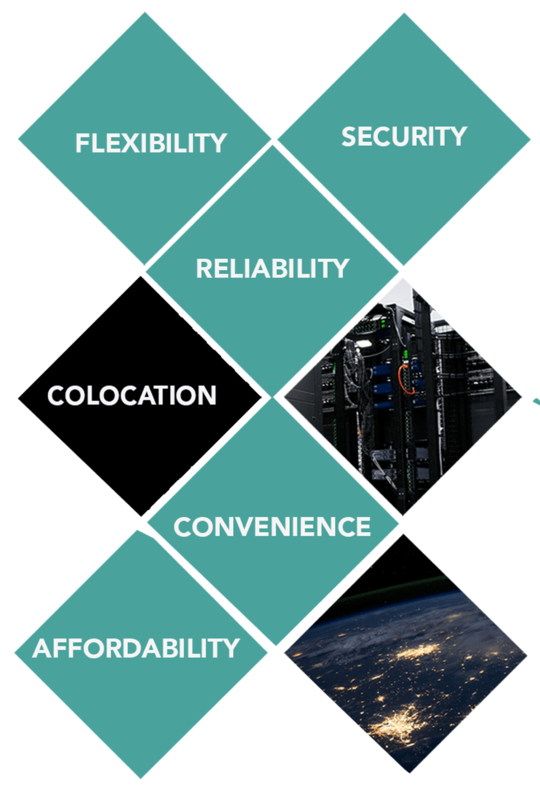 At LightWave Networks, our colocation services are reliable and flexible enough to cater to businesses of all sizes. When you need secure storage for your business’ existing servers, IT hardware, and networking equipment, our colocation services are the right choice! We’ll house your company servers in our secure Tier III Boston colocation data center or our Tier III Dallas colocation data center. In addition to providing colocation server space at our data centers, we also offer cloud servers and VPS servers. Our affordable server solutions are fully customizable! Why Choose Our Dallas and Boston Colocation Services? Secure and Reliable: In our data centers in Boston and Dallas, you can rest assured that your servers are getting the best in both physical and network protection. All our facilities feature biometrical access control and man-trap security along with year-round, 24/7 video surveillance, monitoring, and support. Our Dallas and Boston colocation data centers are also PCI-DSS and HIPAA compliant and feature secure, dedicated locking cabinets available in 20U half cabinets and 42U full cabinets. Easy Connectivity: LightWave Networks provides the building, cooling, power, unmetered bandwidth, and security, so you can focus on revenue-generating activities for your business instead of IT concerns. Our facilities are carrier neutral, allowing you a choice for your connectivity needs. IPv4 and IPv6 enabled, fully redundant, BGP network operated and maintained by LightWave Networks available for fast, easy network connectivity, which is included in all colocation options. Flexibility: LightWave Networks caters to businesses of all sizes from start-ups and personal projects to Fortune 500 enterprises. No need to predict the future of your IT needs – if they change, we can change your plan to accommodate you. Choose your colocation space and power delivery options: 120V, 208V, or 208V 3 phase power; redundant, A+B power available for true 2N power redundancy backed by a 100% uptime SLA. Affordability in Your Choices: Using our data centers for your IT storage needs saves your business the costs of building and maintaining your own on-site server facility. With LightWave Networks, there is no minimum server package required. We offer colocation space as little as 1U to multiple cabinets, and we have redundant/diverse fiber entry points into all our colocation server data centers. All data centers in Boston and Dallas are audited annually using the SSAE16 Type II SOC2 standard. With data centers in Boston, Massachusetts and Dallas, Texas, our colocation services are a smart investment for any growing business that needs to stay connected. Contact us today for your personalized colocation solution – plans start at $50 per month!